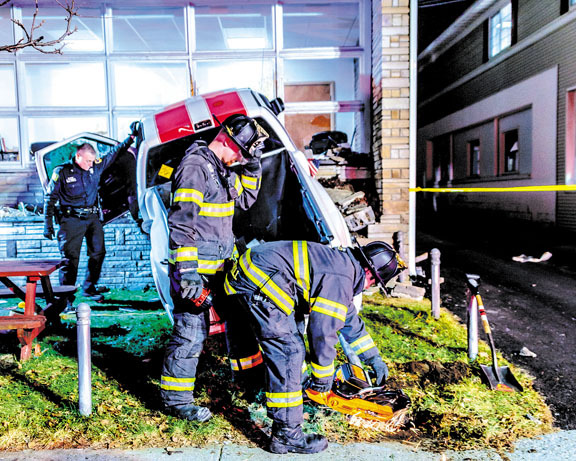 The Village of Fishkill, Mobile Life Paramedics, the Village of Fishkill Police, and the DCSO recently operated at a car-into-building MVA on Main Street. The incident occurred when the driver of the vehicle apparently experienced a medical event as he was turning from Church Street onto Main. The vehicle then went out of control and struck the front of a building and became lodged in it. Fishkill firefighters extricated the driver and assisted Mobile Life Paramedics in rendering medical aid. Despite everyone’s best efforts, the driver did not survive. Main Street remained closed for several hours as the investigation into the incident was completed. Rombout firefighters assisted.